Enter the alias name of the portal here. Enter the host and port that the portal is available under here. 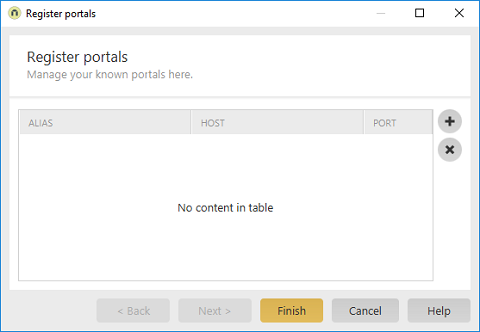 Adds a new line where a new portal can be defined. Deletes the currently selected line.